If you spend a lot of time typing, then you should definitely consider a mechanical keyboard. 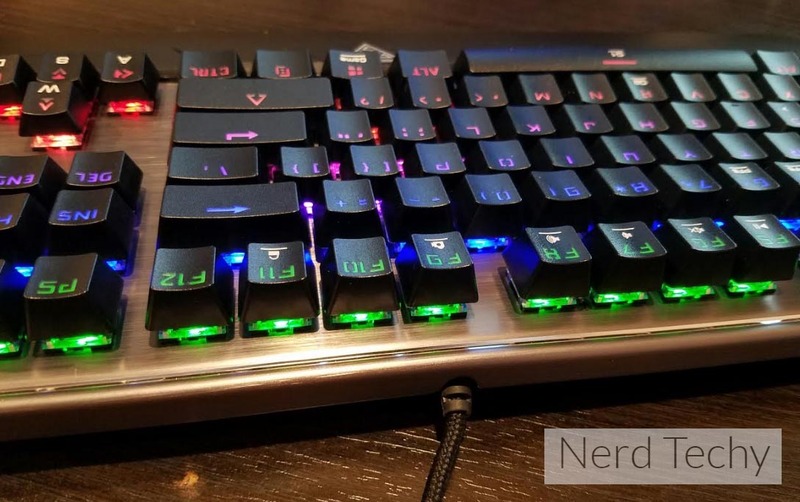 A mechanical keyboard is one of those products that once you’ve tried it out, you can’t imagine ever going back to your old keyboard. Strangely enough, the first keyboards on the market were actually mechanical. It wasn’t until the 90s when computer manufacturers were attempting to keep costs low that the “rubber dome” models we’re all used to came out. The simple fact is that mechanical keyboards are much easier to use. Our hands are very adept at learning through muscle memory – small sensations that train us to do complex tasks. Mechanical keyboards are exactly that. With each key press, there is a distinct click. This subtle change can often increase your typing speed by up to 20 percent. If you’re gaming, another reason that mechanical keyboards are essential is response time. Not only will the key press be converted into an electrical signal more quickly than other types, but several errors that stem from having too many keys pressed at the same time just don’t occur with mechanical models. 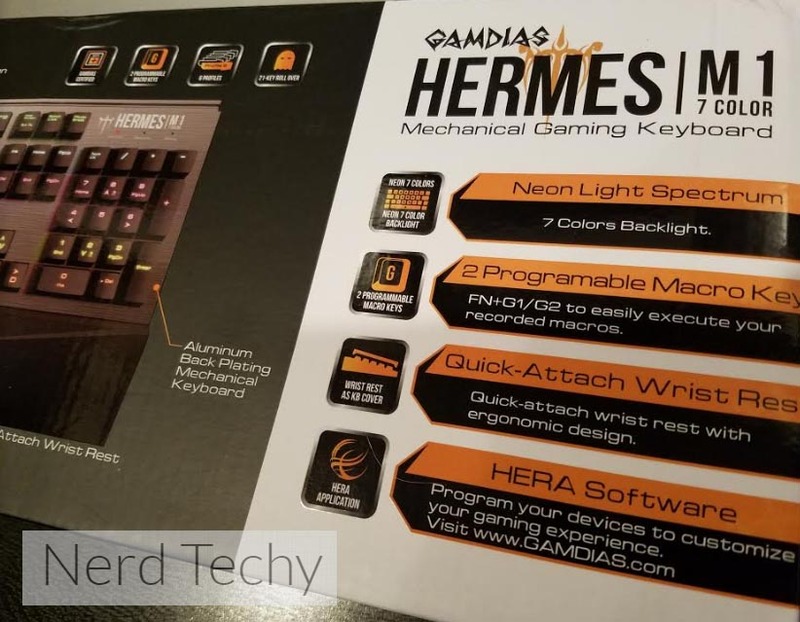 Gamdias is one of the leading manufacturers of affordable mechanical keyboards. Despite their low price, it’s their quality that allowed them to capture such a large portion of the market. 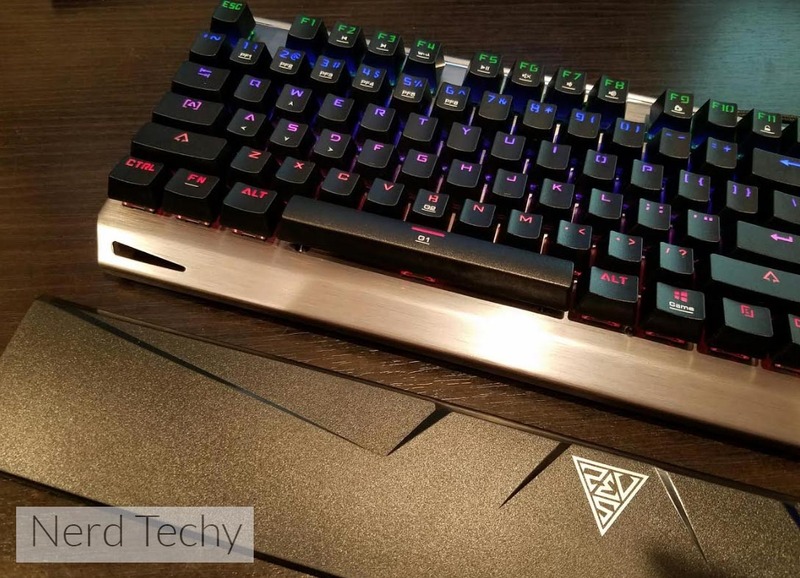 With the release of their M1 mechanical gaming keyboard, they’ve added a few great features to a tried and true platform. Let’s take a look at see how it performs. From the moment we removed the Gamdias Hermes M1 from the box, we knew it was a serious piece of hardware. It takes the powerful, aggressive look that gamers love and backs it up with some seriously cool design featues. The face of the keyboard is one big slab of aluminum. It’s completely flat, save for a small bezel along the top of the board. 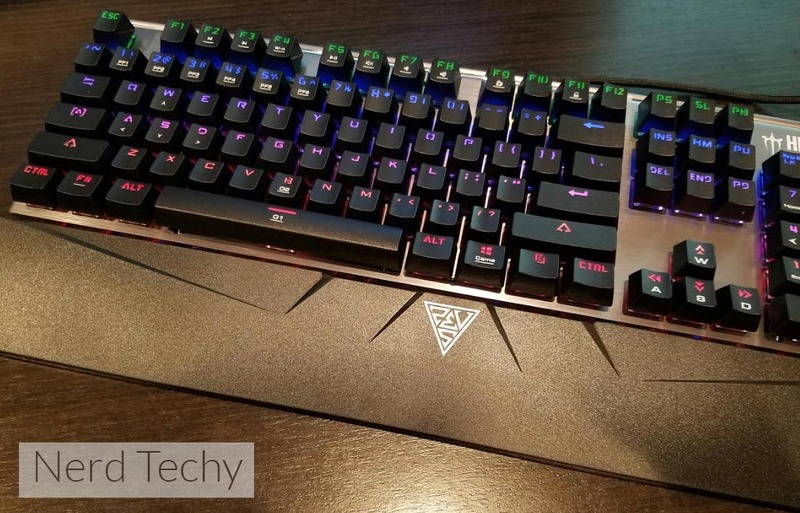 The keys are full size, as you’d expect from such a powerful keyboard, and stand up from the top of the board in a sharp, eye-catching manner. But of course, looks aren’t everything. Let’s go in-depth and see what this keyboard has to offer. One of the most important parts of any mechanical keyboard is the switch. This is actual physical mechanism that actuates the keys, and the single defining factor that separates a mechanical keyboard from a digital keyboard. 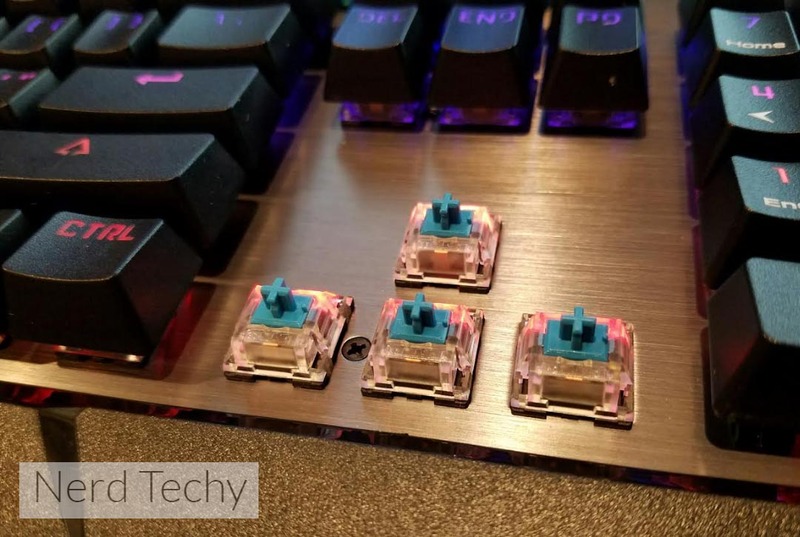 If you’ve already done some reading on mechanical keyboards, you probably know that cherry switches are considered the ones to have. Cherry is the Rolex of mechanical keyboards. They were one of the first back to market with the own switch, and personally invented the entire naming scheme. However, Cherry switches are expensive. You can expect to pay serious money for any kind of keyboard that includes them. Gamdias keeps their boards cheap by manufacturing their own switches. And you know what? They’re just as good. We tried them side by side with a keyboard that used cherry switches, and the feeling was almost indistinguishable. Sure, there was some very slight variation in how they sounded, but this could have easily been the way they were mounted. Now, not all switches are created equal. There are a few different versions. Switches can be calibrated for pressure, reset point, loudness, and speed. Most users chose between blue, red, and brown. The switches used in this keyboard are the blue variety. They’re a little heavier, a little louder, and have the most tactile feedback of any switch. For typists, these are considered the best of the bunch. Some gamers prefer the red switches, as they are very light and easy to push. In our opinion, this defeats the entire purpose of a mechanical keyboard. Blues are the best sellers on the market. Within a few minutes of using one, you’ll be completely used to it. For this reason, we couldn’t be happier with the switch choice in the Hermes M1. As you’d expect in this price range, this keyboard is backlit. But this isn’t backlighting designed for people who have to keep their eyes on the keyboard while they hunt and peck around for the right buttons. This backlighting is all about looks, showing all your gamer friends that you’re serious. If this is what you’re into, the you’re in luck. 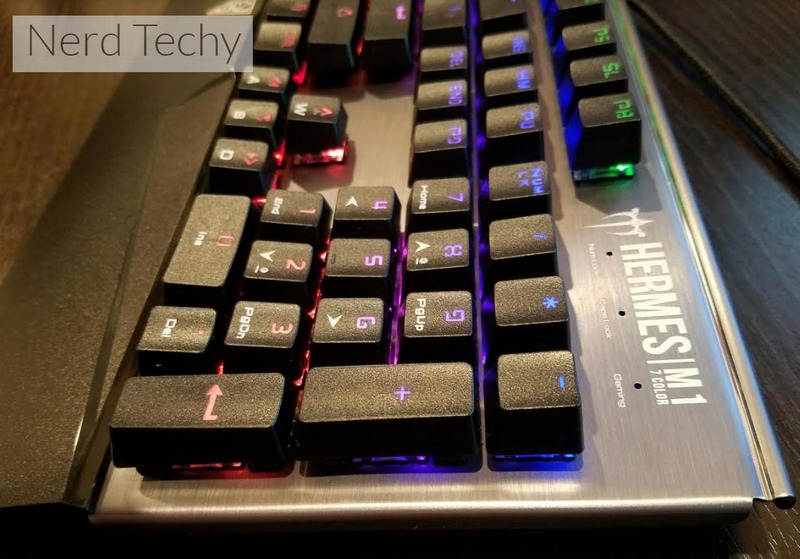 The Hermes M1 has some of the most unique and attention grabbing color schemes we’ve ever seen. It supports a total of 7 different colors, each of them on the neon spectrum. They’re certainly unlike anything you’ve seen before, and that’s just when the keyboard is in standard backlight mode. Load up the included program, and you can choose from plenty of stylish backlight modes that are sure to make your gaming station look great. Our favorite is the “breathing” design, where the keys gently fade in and out. But responsive fade out is also quite interesting. Each time you press a button, the whole keyboard will light up for a moment, before quickly fading back to nothing. When you’re typing quickly, it almost looks like something out of a science fiction movie. Of course, one of the things we love about the Hermes M1 is the way it feels. This keyboard just makes typing that much better. Every push is a tactile click. In a matter of minutes, we found that we were typing at a much higher rate than we ever thought possible. But one of the things that make this keyboard unique is the deep sculpted keys. The unique contour on the face doesn’t look that different at first, but we’re fully confident that once you use it for a few minutes, you’ll appreciate the ergonomic shape. Another great feature is the quick snap-on wrist wrest that gently slopes into the sharp angles of the keyboard. It supports your wrist in just the right places, so you can type comfortably for many hours. 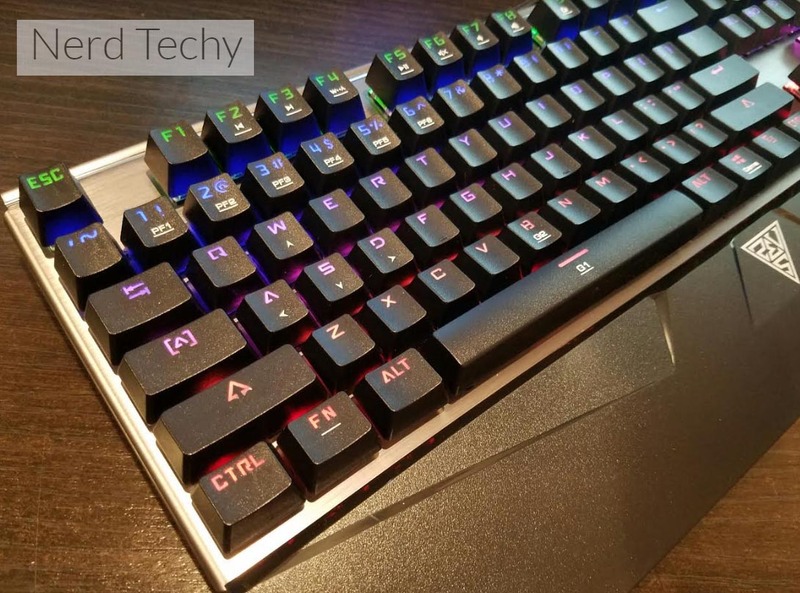 There are a few key features that let you set this keyboard up to exactly the way you want it. For starters, there are six keys along the top that can be assigned multimedia functions. These let you play, pause, stop, control the volume, and skip any media you may be playing. But if you’re gaming, media isn’t your only concern. You also want to set up custom key configurations and macros to take your gaming to the next level. With 256kb of memory in the keyboard, you’re able to have a number of profiles so that each game is perfectly customized to meet your exact needs. Because these settings are stored in the built in memory, they’ll come with you even if you’re bring your keyboard out to a LAN party or switching between your gaming PC and your laptop. There are two areas that inexpensive keyboards often fail. The first is polling rate. See, keyboards aren’t just sitting there, waiting for you to press a key. They actually have to manually check each key over and over to see if it’s been pressed or not. 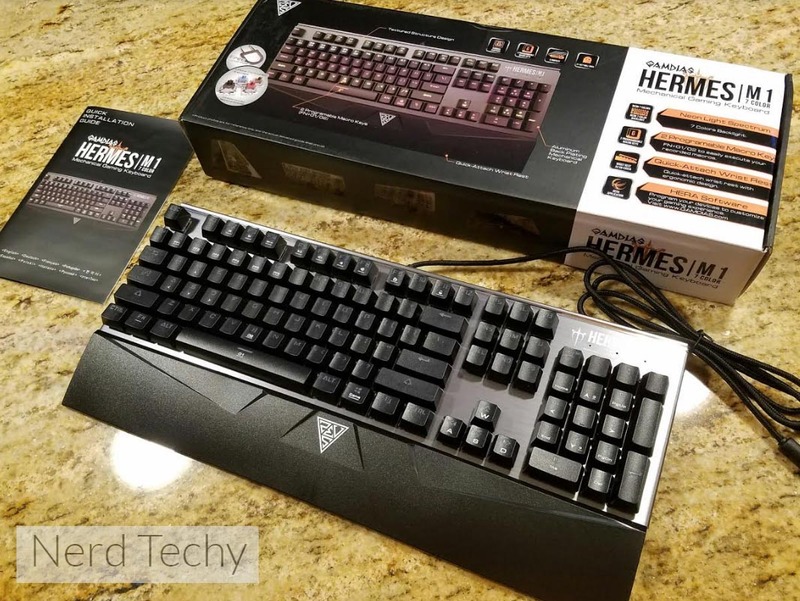 Hermes built their keyboard with an incredible polling rate of 1000 hz. Since your keys are literally being checked 1000 times per second, there is almost no delay from the time you push a key and the time it’s registered. For serious gamers, this is a must. Another issue keyboards often suffer from is rollover. They are only able to send so much data to the computer at once. If you push too many keys, it won’t send the last key press until one is removed. On some keyboards this is low as 8. But with this Hermes model, you’ve got 21 key rollovers. Even if you could push two keys with each finger, you still wouldn’t even be able to cause an error. There are a lot of affordable gaming keyboards on the market, and about half of them have mechanical switches. But there is one thing that they all have in common – sacrifice. If you’re going to find a mechanical keyboard in this price range, you generally have to be prepared to cut some corners. Well, we’ve tried keyboards in the $200 range and the ones that cost less than a meal out. We can safely say that the Gamdias Hermes M1 gives you everything you could possibly want, with only one disadvantage. The only area it could improve on is the wrist rest. It certainly looks good, but for a few extra dollars we think the experience could really be improved with a cheap keyboard wrist wrest. Beyond that, we don’t have a single complaint about this keyboard.